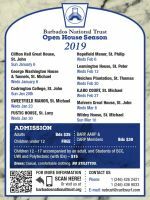 The Open House programme is presented by the Barbados National Trust. Malvern Great House is this week's Open House. This grand, if challenging to maintain, 17th century home is architecturally remarkable for its curved, Palladian double staircase leading to a Georgian, two-storey entrance hall, and for its octagonal tower that contains a hurricane shelter. From 1910, the plantation was owned by an inventor who was the first black property owner in St. John. It now houses the Center for Complementary Medicine. Only the ground floor will be opened to the public. Those with mobility issues will find this property challenging due to stairs and bumpy paths. At 3 pm, The Alleyne School Choir will perform on the grounds. Phyllis Clarke will play the piano as patrons tour the house, and a tape of the late Herbert Cheesman, who started the CCM at Malvern, will play repeatedly in the house. From 3:30 to 4:30, a shuttle will be provided for a short ride to nearby Hackelton’s Cliff, where a community park with a stunning view of the east coast has been lovingly created by residents of the tiny village at the top of the cliff. Peter Boos and Peter Laurie, two noteworthy, informed and genial gentlemen of the area, will be on hand to talk about the initiative, explain the tombs, and point out the sights. Those who prefer some exercise will find it a pleasant rural walk. The very fit may want to scramble down the trail to the bottom of the cliff. The Trust takes no responsibility for them. The Lively Lecture will be presented at 3:15 pm by Sir Henry Fraser, who wrote about Malvern’s history and architecture in Historic Houses of Barbados. In addition, there will also be a welcome by Miguel Pena for the ceremonial planting of a mulberry trees at 2:30 pm, as part of the Malvern Worldwide Network. During the Malvern (UK) Festival of 1936, George Bernard Shaw planted a mulberry tree to celebrate his 80thbirthday and symbolise longevity. It lived until 2000, when it was uprooted in a violent storm. Luckily, a cutting had been sent to another Malvern in Australia, then propagated and distributed. Malvern Great House here in Barbados was one of the recipients. The new tree to be planted reaffirms the circle of life and global friendship. As usual, local fine craftspeople will be there, Caribbean books will be on sale, and refreshments will flow. A door prize draw takes place at 4:45 pm. From the ABC highway at the Clyde Walcott roundabout, turn east toward Hothersal Turning. Shortly ahead, turn right at Kelsi’s and head up Highway 3. Pass Orchid World on your left. After about 2 km, turn left at Four Cross Roads. At the T junction, turn left, then look for the right turn soon afterwards at a triangle. Turn uphill there and pass through Venture. Malvern is straight ahead. Turn right and look for our parking signs. No pre-booking is needed. Just follow the directions - look for the signs. 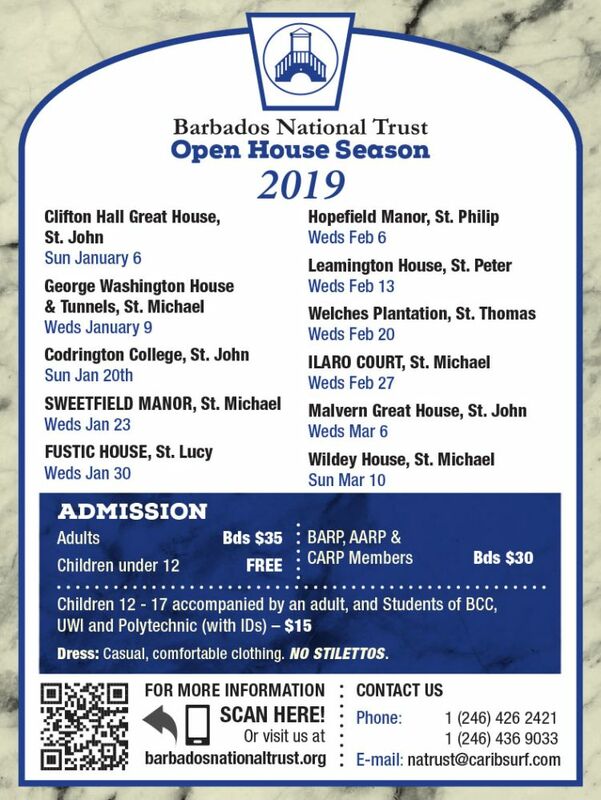 The Open Houses Programme is a Winter Season Tradition in Barbados presented by the Barbados National Trust (BNT). It allows visitors and residents alike access to some of the island's loveliest houses. Discover more about our island's diverse architecture and history. The programme includes all types of houses - from the grand old plantation houses rich with centuries of history, to the newer, luxurious Bajan-style villas. Grounds and gardens are part of the attraction. Sip your rum punch in stunning tropical settings. The BNT sets up a bazaar with books and crafts people. Refreshments are on sale. In addition, they provide historical and architectural information which you can take home with you at no additional cost. Mr. Peter Stevens - BNT's current president. 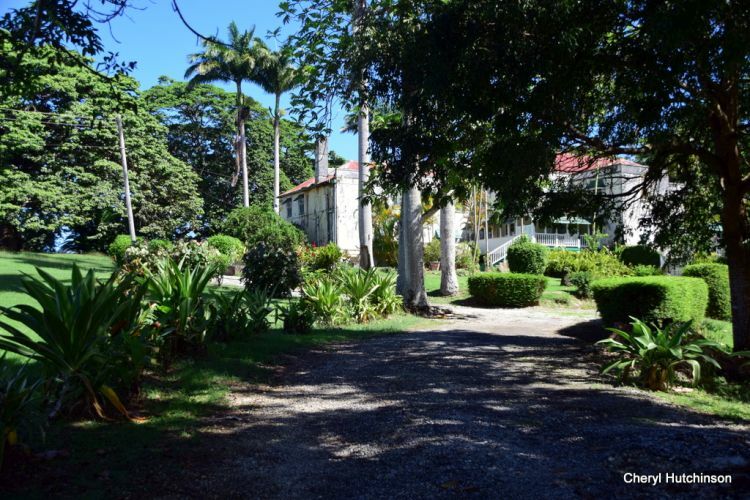 The Barbados National Trust was founded in 1961 to preserve our unique heritage - be it historic buildings, place of natural beauty or out flora and fauna. It's a very active Trust and was recently successful in achieving UNESCO International Heritage Site status for Bridgetown and its Garrison.